Hello sending you some love this February from the Susse Collection studio. If you have someone special in your life you may want to send a message of love. Why not treat yourself. Here are a few gift and card ideas I selected from Susse Collection Shop, Thortful and My Art Haus. Check out my range of cards at Thortful. They can add your secret message or yummy chocolate gift . Be a love cat send this greeting card at the Susse Collection Shop. Pocket Mirrors a tiny gift from the Susse Collection Shop. Can’t run off to Paris together. Let’s dream with this print from the Susse Collection Shop. Subscribers to The Susse Collection newsletter receive this cute pattern to print out on paper. Wrap up a small gift or make a card the choice is up to you. It's newsletter day. My first newsletter of 2019. I always like to have a little gift each month. 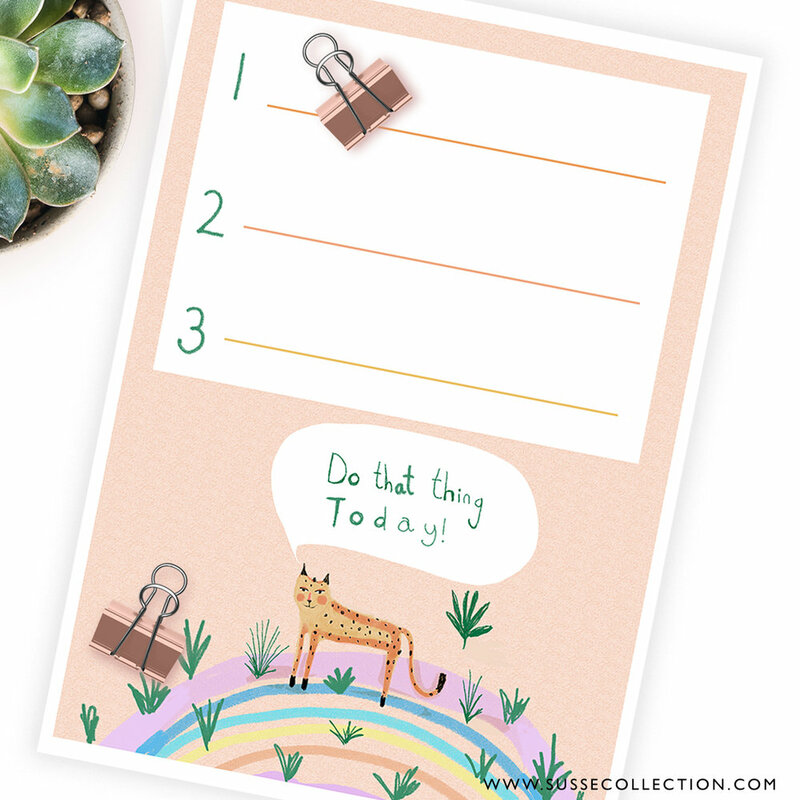 This to do list is a free printable this month. Try and do only 3 important things a day to move forward. Oh and I am having a little sale this week at the Susse Collection shop if you would like to take a peak. I am reopening the shop next week and having a little New Year spring clean sale. Only have a few Calendars left if you would still like one.